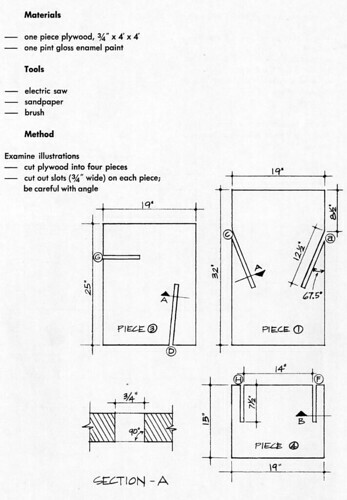 A third design from Spiros Zakas’ 1979 “More Furniture in 24 Hours” book. See our first post on this book. 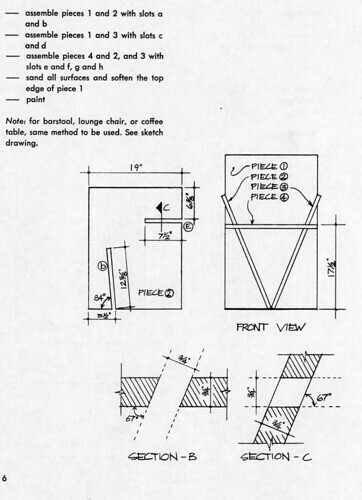 Click below to find plans for building this chair or go to our Flickr set for high res versions. 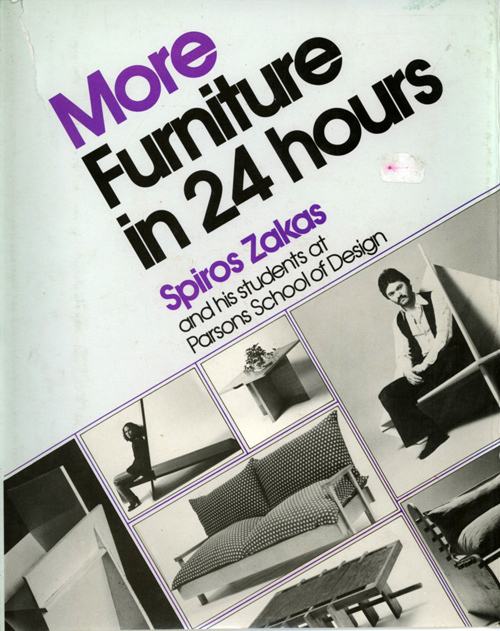 Zakas’ book features many designs by his Parson’s School furniture design students in the 1970s. 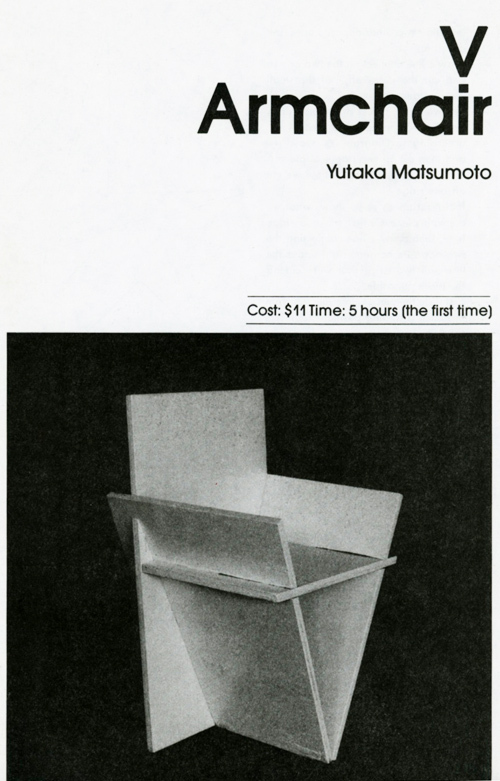 As I’ve mentioned there’s clearly a Gerrit Rietveld influence throughout the book (not surprising since Rietveld’s angular style is easier to produce in an art school woodshop than curved shapes) and that’s in evidence in this chair by Yutaka Matsumoto. Apparently this chair takes 5 hours to make “the first time.” The first time? How many of these would one need? Click below to find plans for building this chair or go to my Flickr set for high res versions. This entry was posted on Thursday, January 8th, 2009 at 12:08 pm	and is filed under book, design, DIY, furniture. You can follow any responses to this entry through the RSS 2.0 feed. You can leave a response, or trackback from your own site.